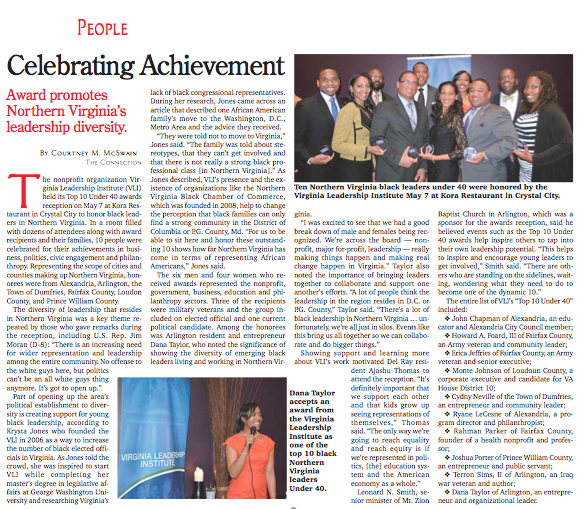 I recently covered the Virginia Leadership Institute’s inaugural “Top 10 Under 40” awards. One of the goals of the awards reception was to highlight the diversity of leadership that resides in Northern Virginia. You can read the entire story online or in digital print issues of the Arlington Connection and Alexandria Gazette Packet.